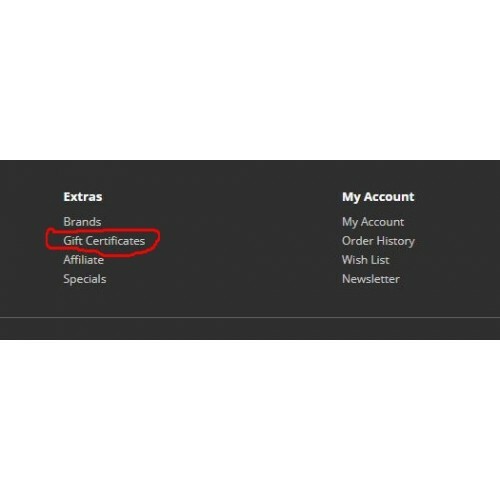 The "Remove Gift Certificates" module removes "Gift Certificates" from the footer of the website. VQmod is not required. Please note that it has only been tried with the Default theme but should work with other themes. (1) Download the extension from the Downloads area below. (2) Do NOT extract the XML file from the ZIP file. Also, do NOT rename the zip file. 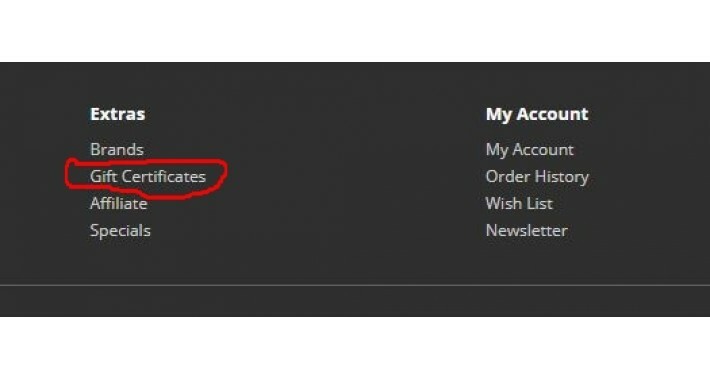 (3) Log in to your Admin area and go to "Extensions >> Installer". (4) Click the "Upload" button and locate the zip file and select it. (5) Wait until the Install Progress bar reaches the end and you get a message that says "Success: You have modified extensions!" (6) Go to "Modifications" where you will see the OCMOD installed. Click the blue "Refresh" button in the top right corner. (7) Refresh your site and the "Gift Certificates" will be gone. 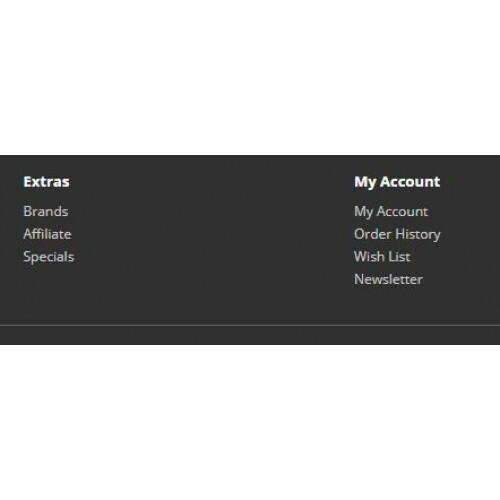 (2) Click on the "Edit" button of your store. (3) Select the "Server" tab and scroll down. (4) Set the "Maintenance Mode" option to "No"
If you have any issues with our extensions, have any queries, or need customized solutions, please contact us via our Support Center.